The BENDBRITE� Hands-Free Flex-Light is a unique and innovative source of no-hassle lighting, perfect for any situation. The BENDBRITE� is equipped with a magnetic clip base giving it the ability to attach to virtually any surface. 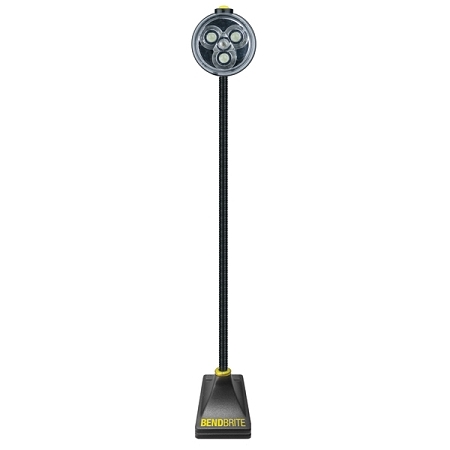 The BENDBRITE� has two lighting modes, 3 White LED�s on or 1 Red LED in flash mode. The BENDBRITE� is a perfect companion for the car. In the event of automobile trouble, keep both of your hands free under the hood when you attach the BENDBRITE� to the hood using the clip or the magnet. Or magnetically attach the BENDBRITE� to the car and use it�s flashing red LED as an emergency light if you are stopped on the road side. Or use the BENDBRITE� at home as a personal book light. Just clip the light onto the spine of the book and enjoy. BENDBRITE�, bright light right where you need it!